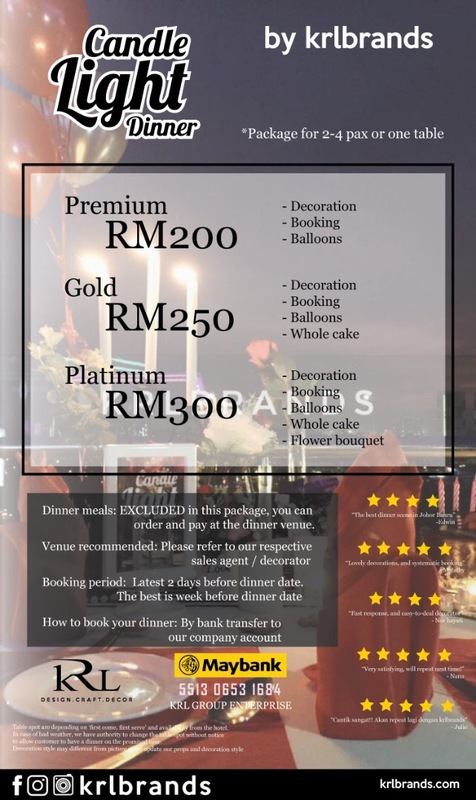 Looking for a candlelight dinner under RM400 with a lovely decoration?? Any enquiries, booking and reservation, please leave a message here, or you can whatsapp to our representatives in these areas. Are you looking for more business opportunity? 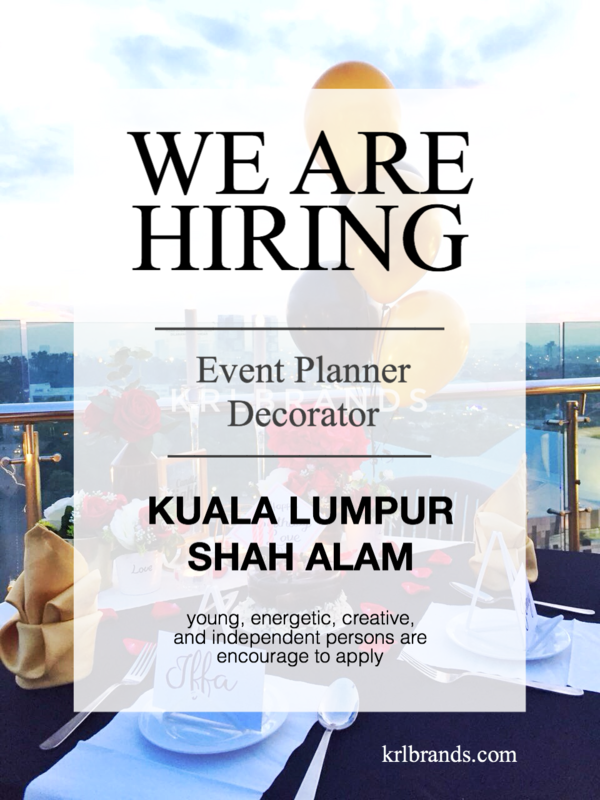 Wanting to develop your creative skill in decoration? Let us know if you are interested. We are looking for a part timer, free after working hour, with maximum only 4 hours working period. We are now open for booking at Kuala Lumpur, Putrajaya, Bangi, Subang Jaya and Johor Bahru. 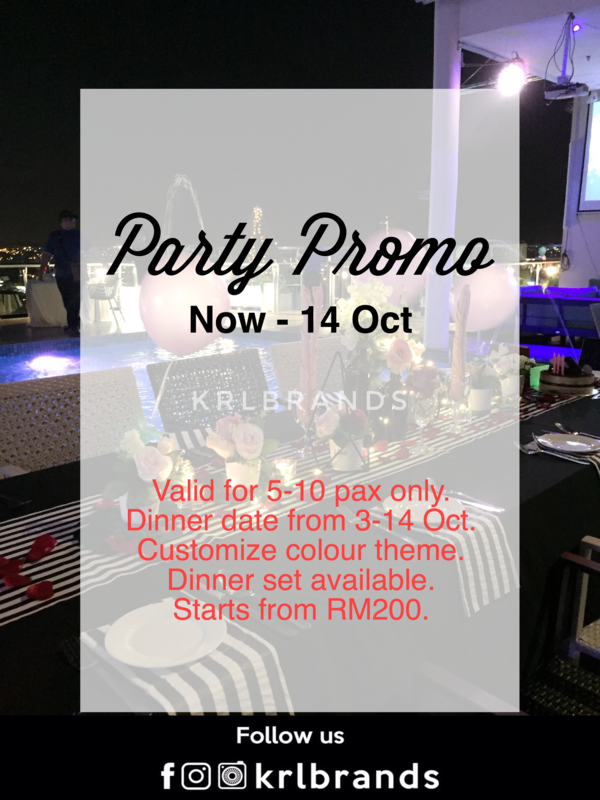 Variety of colour theme to be chosen designed specifically for your special occasions such as anniversary and birthday celebration. Let us know how many pax participate, your current city, and date of celebration to get our package complete with a list of venue recommended, package price, how to book, and menu available. Available at Johor Bahru, Bangi, Putrajaya, and Subang Jaya. Surprise your wife / husband on this date!! 😱😱😱. 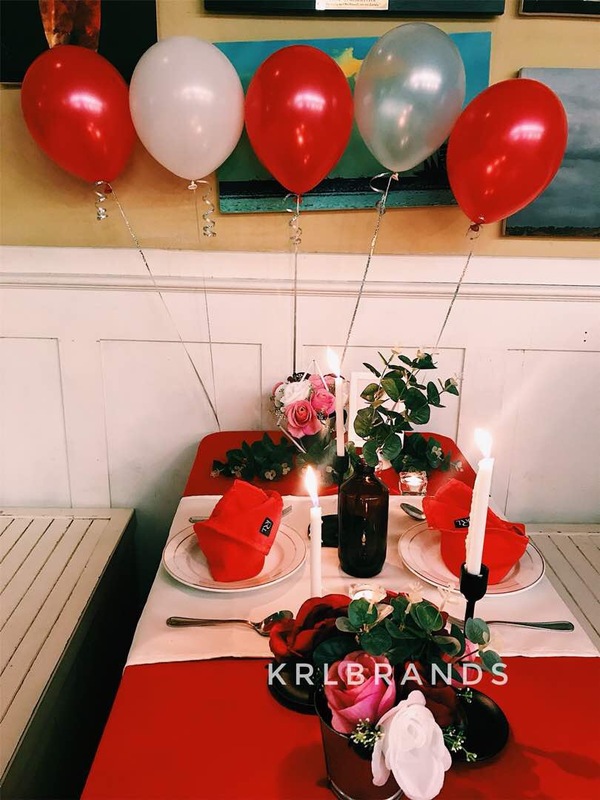 Enjoy a lovely candlelight dinner on these day only from krlbrands. 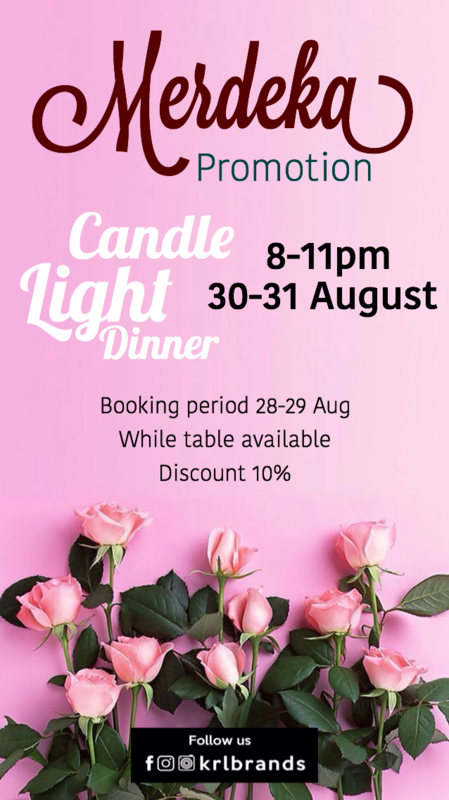 We are now officially open for candlelight dinner reservation at Bangi, Putrajaya and Kajang. 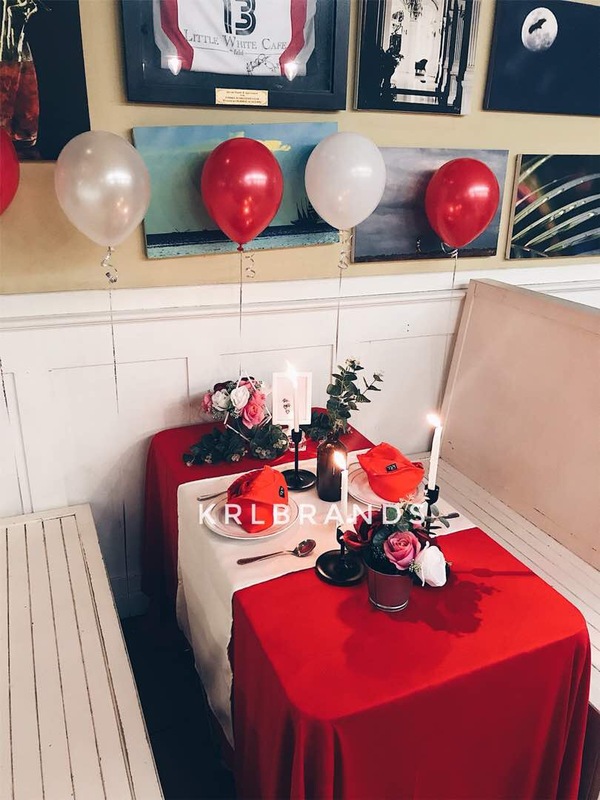 Our package may includes cake, balloons and flower bouquet. The unique of booking a dinner with us is, you can request a colour theme. 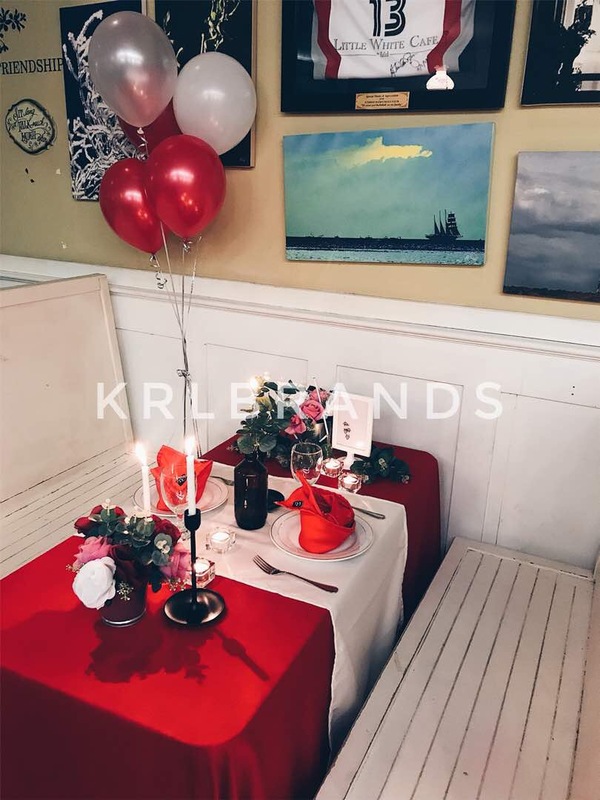 Our default anniversary theme is red, black and white since it becomes a major favourite by our clients at Johor Bahru. With variety of venue to choose from, you can order either ala carte or dinner set menu on the spot upon arriving. Enjoy yourself as our collaborate cafe and partner allow you to have the dinner at their place. 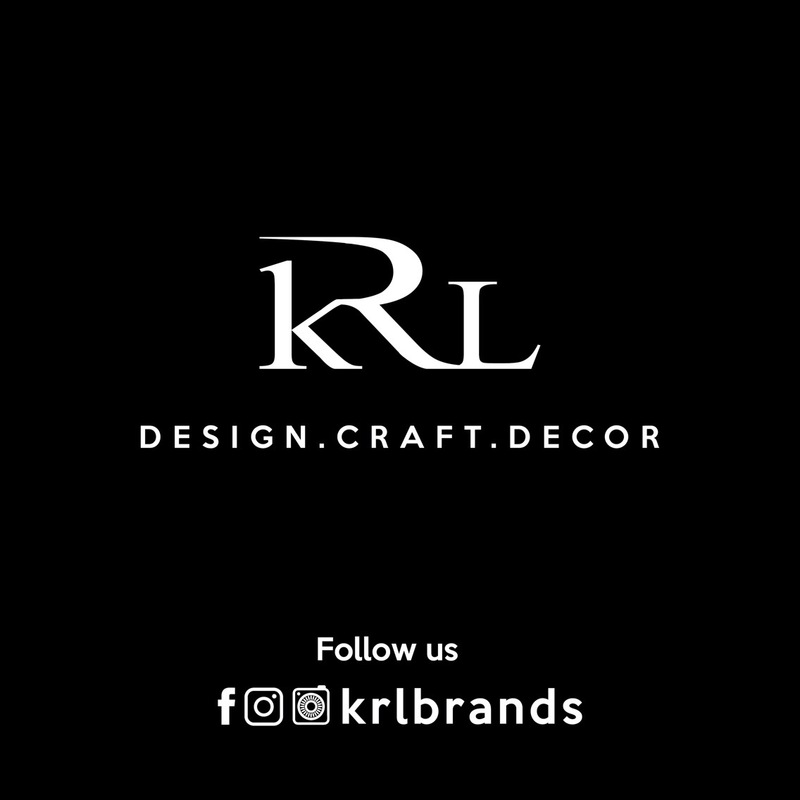 Or you can email to info@krlbrands.com and direct message on our favebook and instagram, “krlbrands”.